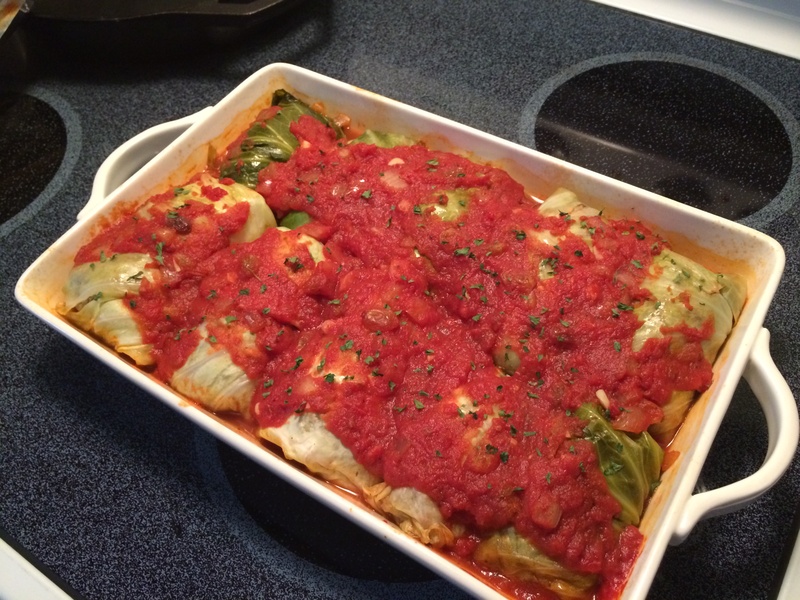 Stuffed Cabbage is one of those dishes I love to make for family and friends. I love everything about it. I like to start with the filling for these little packages of joy. 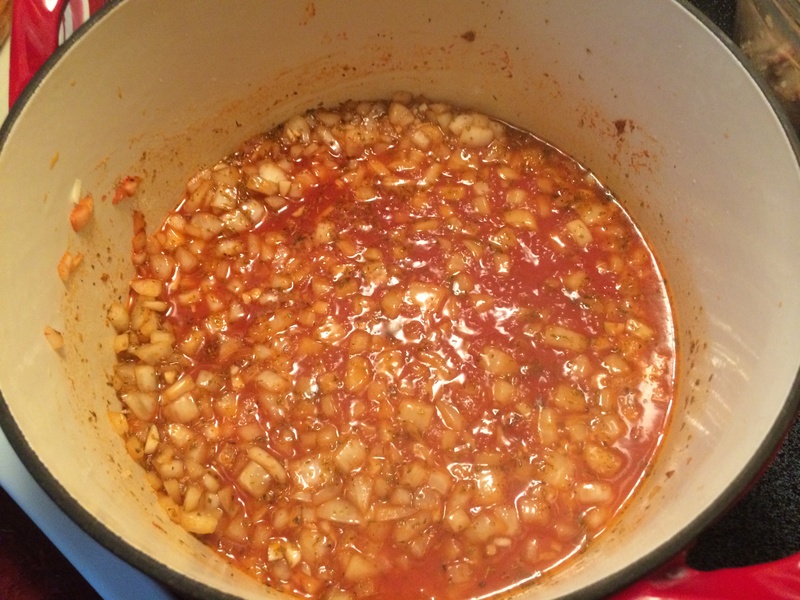 Heat olive oil in a large saucepan, add the onions, garlic, and tomato paste. Cook over medium heat for 8-10 minutes until translucent. Add in the chicken stock, bring up to boil, and reduce by half. Next, add in the crushed tomatoes, vinegar, brown sugar, raisins, salt, and pepper. Bring to a boil, then lower the heat and simmer uncovered for 30 minutes, stirring occasionally. Transfer 1 cup of sauce for the filling aside to cool. Set the remainder of the sauce aside. Meanwhile, bring a large pot of water to a boil. 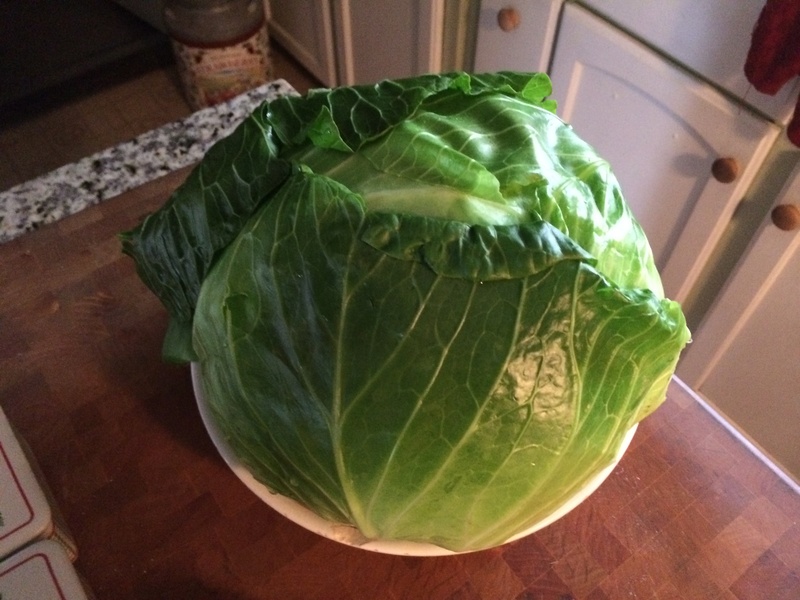 Remove the entire core of the cabbage with a paring knife. Place the cabbage in the boiling water for a few minutes. Using a pair of tongs, peel off each leaf as soon as it’s pliable. Place each of them on a plate lined with paper towel. At least 12 leaves will be needed. 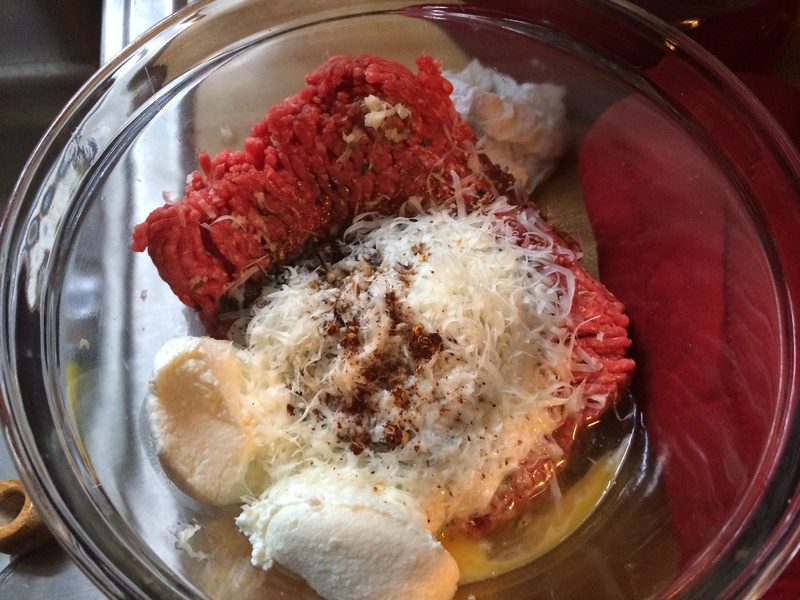 For the filling, in a large bowl combine the ground sirloin, eggs, ricotta cheese, apricot jam, crushed red pepper flakes, chopped onions, minced garlic, par-cooked rice, thyme, dried oregano, parsley, salt, and pepper. Add 1 cup of the sauce to the meat mixture and mix together gently using a fork to combine all the ingredients. To assemble, place 1 cup of the sauce in the bottom of a large baking dish. 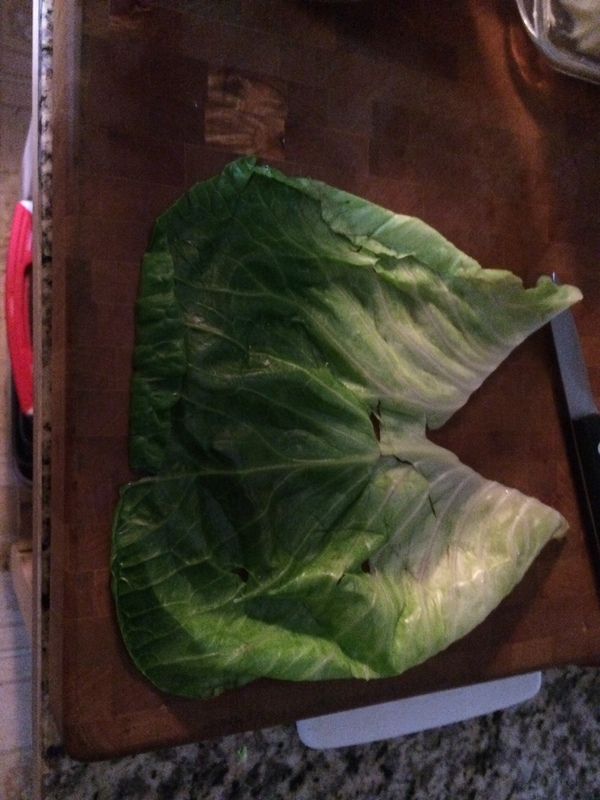 Remove the hard triangular rib from the base of each cabbage leaf with a paring knife. 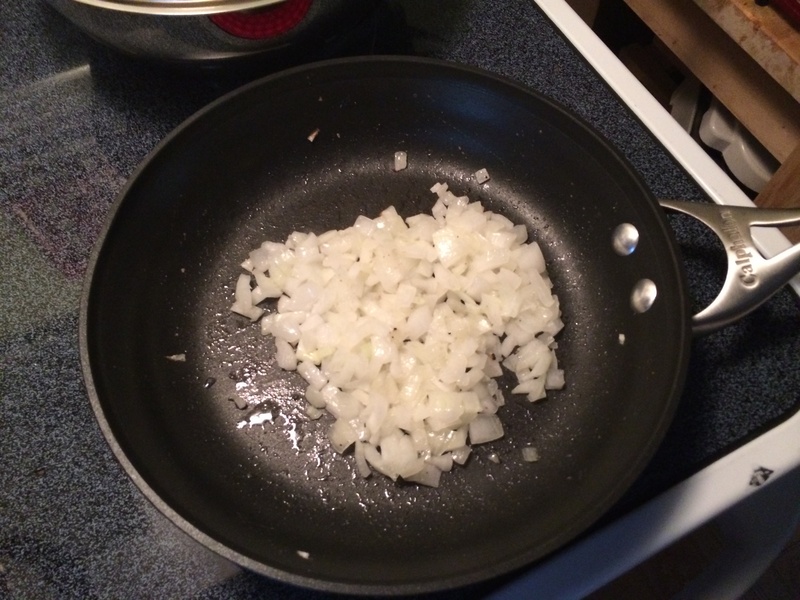 Place 1/2 cup of the filling in an oval shape near the rib edge of each leaf and roll up toward the outer edge, tucking the sides in as you roll, like you would a burrito. Place 1 to 2 ladles of the sauce on the bottom of the baking dish. 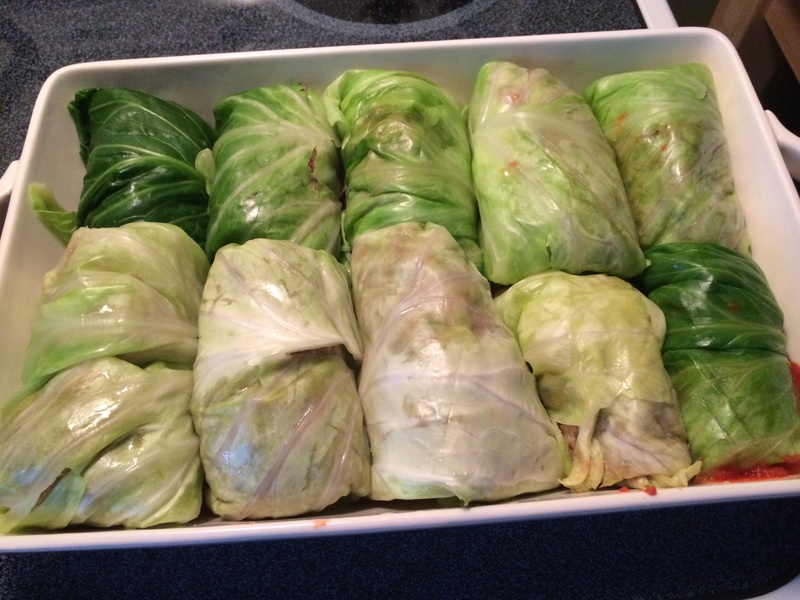 Lay the cabbage rolls, seam side down into the baking dish. 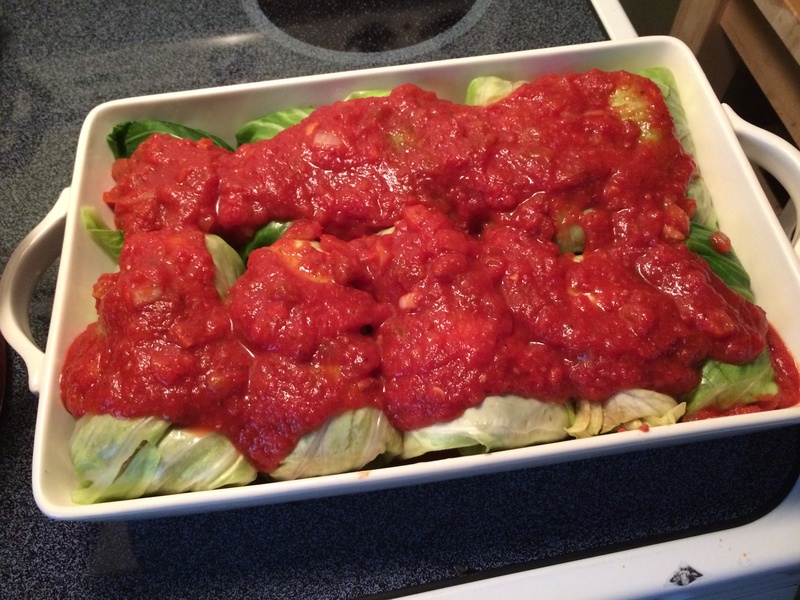 Spoon the remaining sauce over the top of each cabbage roll. Cover the baking dish tightly with foil. 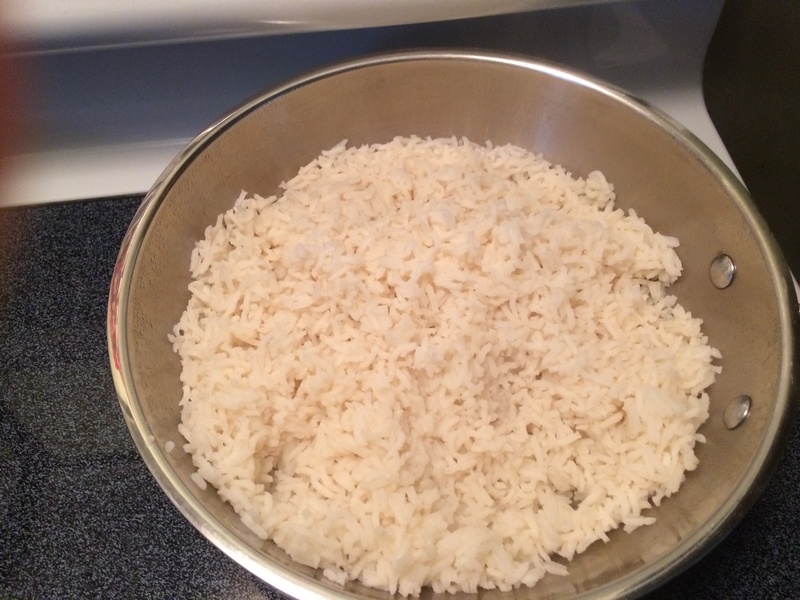 Bake for 1 hour or until the meat is cooked and the rice is tender.